Atlas Service Corps, Inc. (Atlas Corps) is an international network of nonprofit leaders and organizations that promotes innovation, cooperation, and solutions to address the world’s 21st century challenges; Atlas Corps facilitates overseas fellowships and develops leaders, strengthens organizations and promotes innovation through an overseas fellowship of skilled professionals. 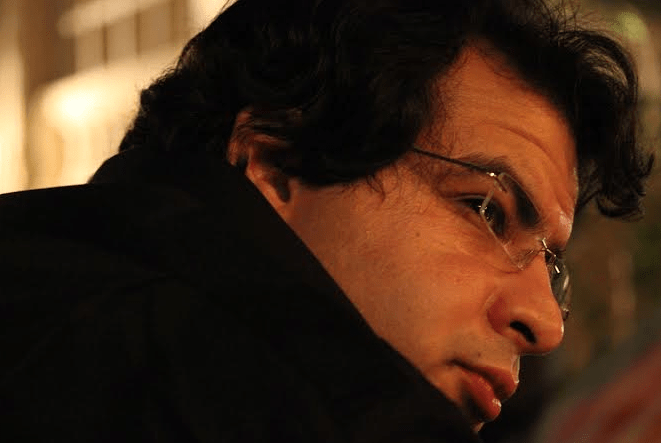 The Bassem Sabry Democracy Fellowship was established in memory of Egyptian political writer and commentator Bassem Sabry. The fellowship is awarded to a young professional with a background in journalism, international relations, political science, or other relevant field who is interested in undertaking research on the Middle East or North Africa. Applicants must demonstrate their commitment to furthering the principles of democratic and inclusive change, the values that Sabry promoted during his lifetime. Bassem Sabry, a native of Cairo, was a writer and commentator on Egyptian and regional politics. Sabry’s balanced writing and commentary throughout the 2011 Egyptian revolution and following the overthrow of Hosni Mubarak earned wide praise and attracted a global audience. In addition to publishing articles on his blog, “An Arab Citizen,” Sabry’s work was also featured in local, regional, and international news outlets, including Al-Masry Al-Youm, Al-Monitor, The Atlantic, and Foreign Policy. Through this unique fellowship, incoming fellows will have the opportunity to work on an independent research paper or project of their own design. Applicants will propose their research program and will be paired with a mentor from TIMEP to guide them through its execution. The fellowship will last for a period of six months, and fellows will be selected based on their credentials and proposed projects or research. In partnership with Atlas Corps, TIMEP will facilitate a fellowship. TIMEP-Atlas Corps Bassem Sabry Democracy Fellows will work full-time at TIMEP’s offices in Washington, DC for the duration of the six-month fellowship. The fellowship includes a monthly stipend, housing, access to TIMEP’s offices, a Washington Metro transportation subsidy, an orientation, and four days of Global Leadership labs hosted by Atlas Corps. 5. Committed to returning to their home country after the six-month fellowship. – How does your application (both your qualifications and your proposal) contribute to the continuation of Bassem Sabry’s values? – How do you aim to benefit from this unique fellowship experience? – relevance to or plan for integration with TIMEP’s ongoing research or activities. Only complete submissions will be considered. To apply for the Bassem Sabry Democracy Fellowship, all applicants must complete a two-step application process hosted by our partner organization, Atlas Corps. Once completed, eligible applicants will be invited to submit a personal statement and research project/paper proposal. – Create an account and complete a preliminary “short application” with Atlas Corps by following the instructions here: https://atlascorps.embark.com/apply/part1. Please complete by March 11, 2019. Reminder: Please select under “Special Initiative” your interest in being considered for the Bassem Sabry Democracy Fellowship. – If you meet the eligibility requirements, our team will send you an invitation to submit a “long” application on the same system. Please complete the application by March 26, 2019. – Finalists will be contacted by April 5, 2019 to submit a personal statement and research paper/project proposal by April 19, 2019. If you have questions about the application, please contact us at: fellowships@timep.org. If you have any questions, please contact us at fellowships@timep.org.